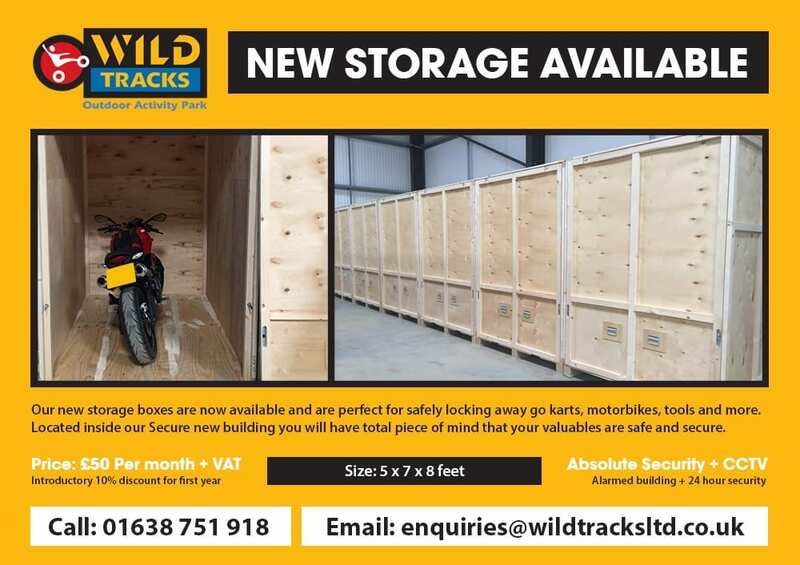 Secure storage units are now available at WildTracks in Newmarket, conveniently located adjacent to the A11, perfect for anyone looking for storage near Cambridge, Ely, Bury St Edmunds and Thetford. We have brand new secure 20ft x 8ft containers on our 60-acre site where we are able to offer easy access, parking and full use of our toilet and refreshment facilities. Our site is permanently staffed so you can be reassured that anything you put into our storage units at WildTracks is safe and secure. We are able to offer access to your secure containers from 7am to 8pm, but if you need to access your storage outside of those times we are more than happy to accommodate and arrange that with you. As well as our general storage containers we also offer dedicated storage for quad bikes, go karts and motocross bikes. In addition to offering storage we are also able to arrange temporary office facilities on our site in Newmarket near Cambridge, Ely, Bury St Edmunds and Thetford. Whether you are moving house and need somewhere to store furniture before you can move into your new home, having building alterations but have nowhere to store your furniture from that room, or are a business that has excess stock but no room for it, our secure storage units are perfect. If you’re looking for a secure storage unit, have any special requirements for your storage or require temporary office facilities please call our friendly team on 01638 751918.